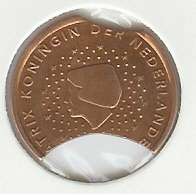 Germany 2004 BU Lettre F with a 10 ct coin from 2003. The images are provided by Sebastian Dabkiewicz. Thank you. Germany 2004 BU letter G where the 1 Euro have the 004 G not good minted. This is a case of low strike, quite uncommon in BU sets. Also this image are provided by Sebastian Dabkiewicz.